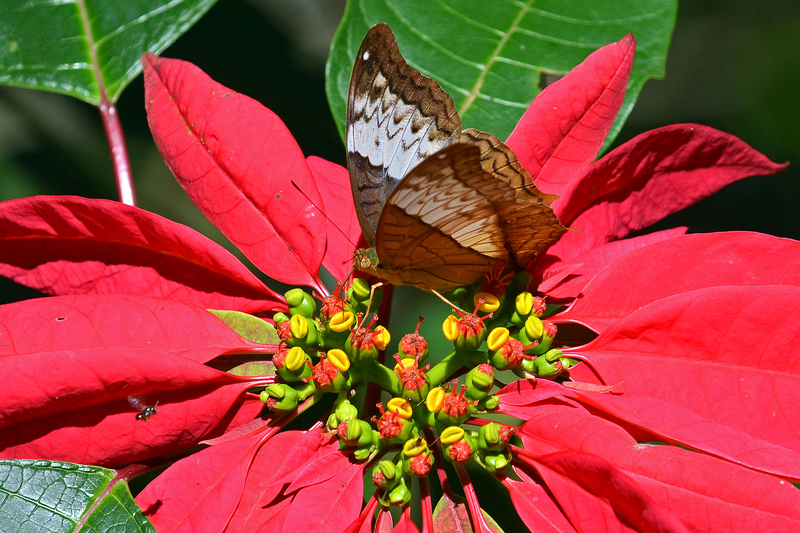 I came across these butterflies feeding on poinsettias in early November (2013) when I visited the headquarters of the Doi Suthep-Pui National Park, Chiang Mai, Thailand. The butterfly is the Common Cruiser (or Thai Cruiser) Vindula erota erota Fabricius, 1793 (female). This species, especially the female, exhibits seasonal variation, and this is the dry-season form, even though the photograph was taken early in the dry season on 6th November 2013. 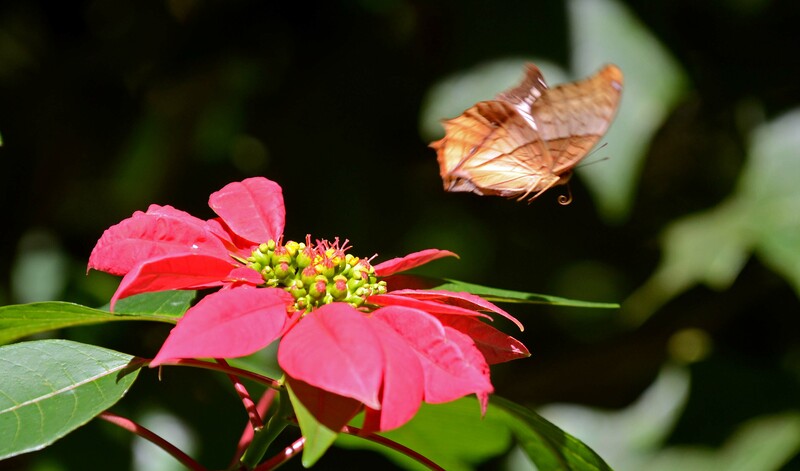 The butterflies were very active in the bright morning sunshine, flying between different flowers, as this photograph shows (albeit a bit blurred!). 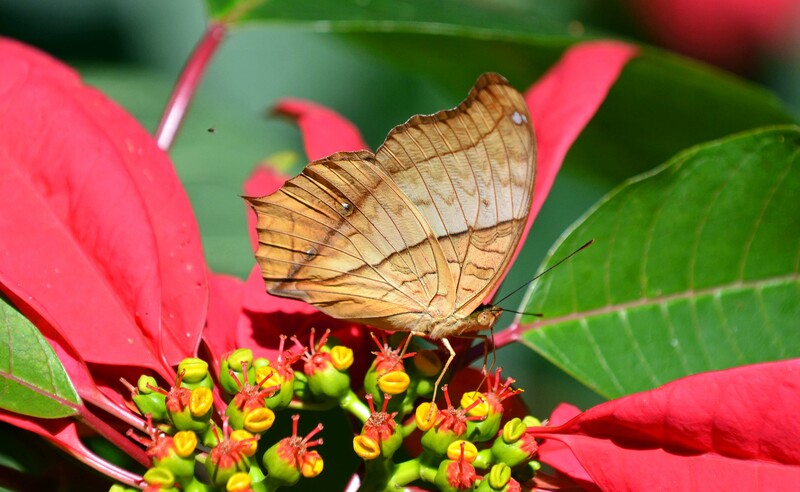 The red leaves of the poinsettia are in fact bracts; the flowers are quire small and grouped together as a cluster (or inflorescence) known as a ‘cyathium’ (plural cyathia). See: http://www.euphorbiaceae.org/pages/about_euphorbia.html. 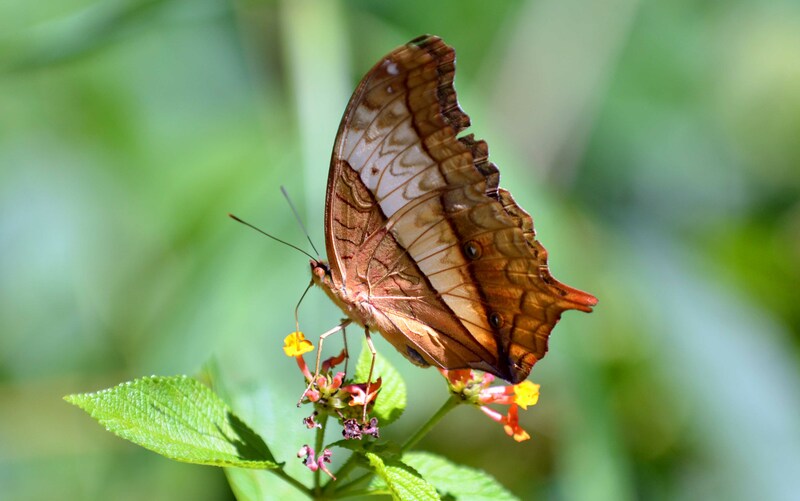 The main feature of interest to butterflies is the mouth-like nectar gland which if found on the side of each cyathium. These little yellow cups contain nectar, and the butterflies can be seen inserting the proboscises into them in the next two photographs. 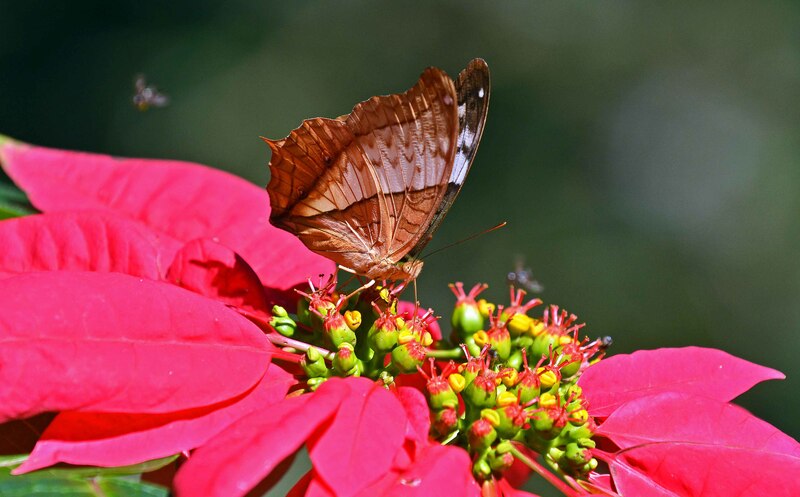 The butterflies were also feeding on lantana flowers, inserting their proboscis down into the tiny florets. Interestingly, I did not see any of the more colourful, orange-brown males; where were they? Perhaps off mud-puddling somewhere in search of salts to boost their prowess when it came to reproducing with these lovely ladies!